Glenn Beck has been defined on this Review in several ways. He is a brilliant, reactionary, yellow propagandist. He is an unabashed liar and a hypocrite. He is a cult of personality and a fake populist. He may be a narcissist, and he may be a megalomaniac. During her show, Rachel Maddow came up with another label for people of his ilk and pointed to Mr. Beck specifically. 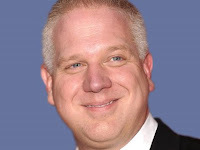 Do you doubt that Beck says things just to provoke, that he's a troll? Then consider the following list of gems from Mr. Beck and remove any doubt. One could go on and on with the absurd and provocative nonsense that Mr. Beck, quintessential troll, has spouted over the years. It worked to build up his audience, and it has made him rich. What kind of people listen to absurd nonsense like this -- and these quotations barely scratch the surface of Beck's ridiculous, false claims -- and take him seriously? Gullible, reactionary people who want these claims to be true don't seem to realize that Beck has entertainment value, and nothing more.